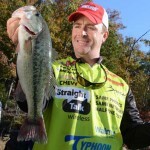 John’ Note: Scott Canterbury of Springville, Alabama, won the title of Rookie of the Year in 2008 on the FLW tournament circuit. 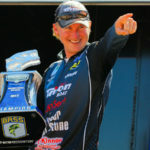 He also won an EverStart event and a Rayovac tournament on Lake Eufaula in Alabama. He’s finished second in the Forrest L. Wood Cup twice, winning $100,000, and he has many more second-place finishes in tournament bass fishing. 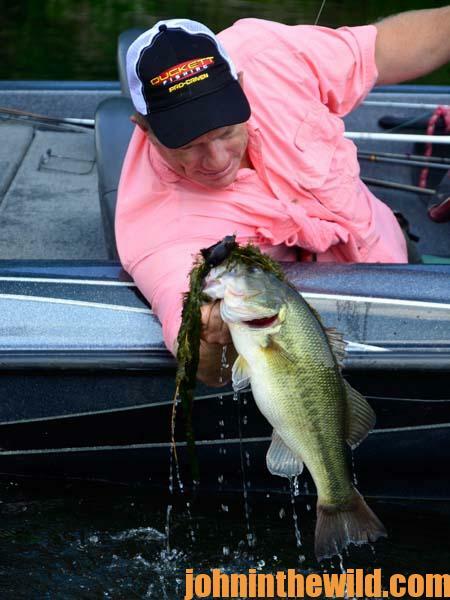 When he was fishing tournaments in his home state of Alabama, he won three fully-rigged bass boats at different tournaments and cashed quite a few checks in local tournaments. 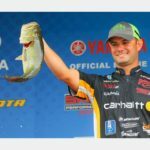 “But on the tour level of tournament bass fishing, I haven’t had a win yet, although I’m getting close,” Canterbury reports. Although Canterbury’s a fulltime bass pro, he also works construction and is a plumber part-time. Randy Howell is a good friend of mine, and I really learned a lot from him when he won the 2014 Bassmaster Classic on Lake Guntersville. 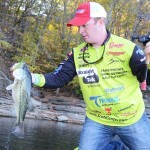 I went to the Forrest L. Wood Cup this year on Lake Murray in South Carolina. Randy and I had talked about how neat it would be if I could win the Forrest L. Wood Cup. 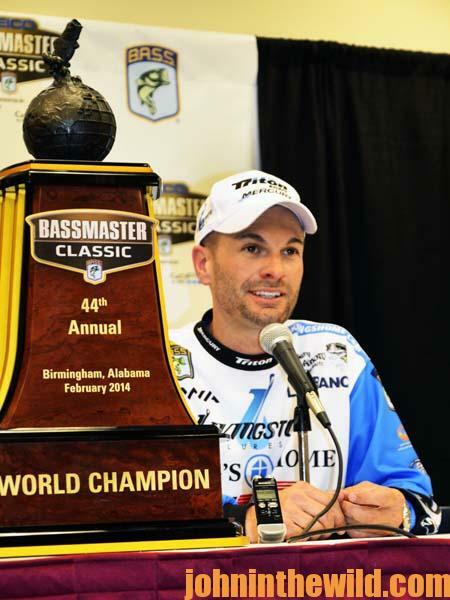 Then, our little hometown of Springville, Alabama, could say that its two professional bass fishermen had won both the Bassmaster Classic and the Forrest L. Wood Cup in the same year. I came close to winning the Forrest L. Wood Cup – losing the championship by only one ounce. After practice, I had made up my mind to look for schools of blueback herring, and fish for the bass that were feeding on those schools of herring. 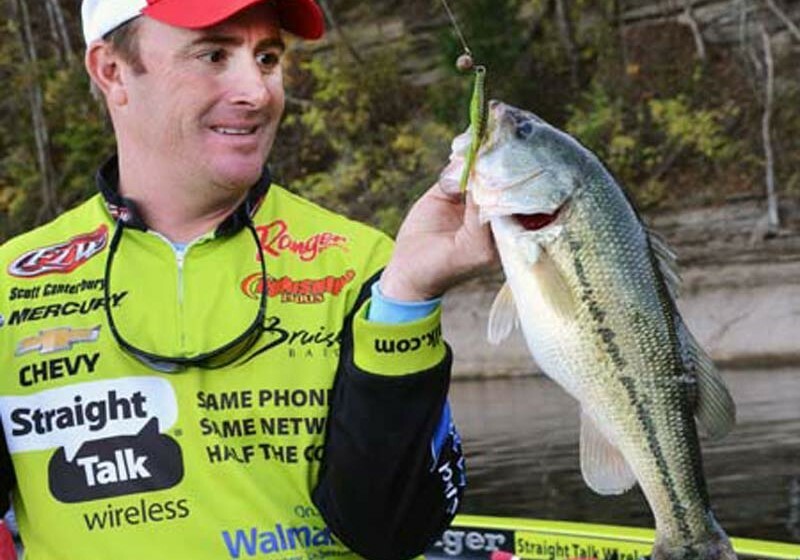 On the first day of the tournament, I followed this plan until 12:00 noon, and I had only caught one 4-pound bass. The pattern I was running was fishing points where I had found bass in practice. I fished my best points twice and still only had the one 4-pound bass. I realized that I didn’t see any of those blueback herring breaking the surface of the water on the points, and I didn’t see any bass chasing the blueback herring on the points. I should have realized I needed to give up that pattern and go look for bass somewhere else. However, I was determined to make those bass be on those points like they had been previously. Finally, I decided I had to give up this pattern. I left the points and went into a creek where I had caught a few bass in practice. I didn’t get a bite. What made the situation even worse was the tournament was being filmed for television, and the cameramen were in the creek to photograph me catching bass. Well, I couldn’t get a bite. Finally, I decided to just go look for places where I thought bass should be holding. I caught three more bass and weighed in four fish that weighed a total of about 10 or 12 pounds. That night I prayed, “Lord, help me follow my instincts and rely totally on faith to find fish.” So, the next morning I went back to the points to try and find bass feeding on blueback herring. At 8:00 am, I decided this pattern wasn’t going to win the tournament. I decided to throw out everything I had learned in practice, go into a creek and just start bass fishing like I knew how to fish. I fished shallow water, shade and grass. Then, I realized that I was fishing in the biggest money tournament on the FLW tour, and I was throwing away everything I had learned about this lake. I was just relying on the fishing skills I had learned from the past. By 10:00 am, I still didn’t have a bass. However, then I caught eight keepers that day. On the first day, I was in 16th place. 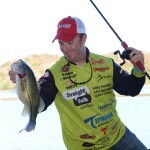 On the second day, I moved into the top 10, because of the bass I had caught, relying only on my bass-fishing instincts. On the third day of the tournament, I went back and fished the same way I had fished on the second day, followed my instincts and looked for places I thought bass should be. I caught 16 pounds of bass that day. This was the biggest one-day catch for the tournament. I moved up to 4th place in the tournament and cashed a nice check. So, another tactic I’ve learned to use when I’m having a bad day or a bad tournament is to trust my instincts – fish the way I know how to fish. Often, you’ll find bass you never will have located if you aren’t willing to give up a pattern that’s not working. Water and weather conditions sometimes change every day or even every hour. 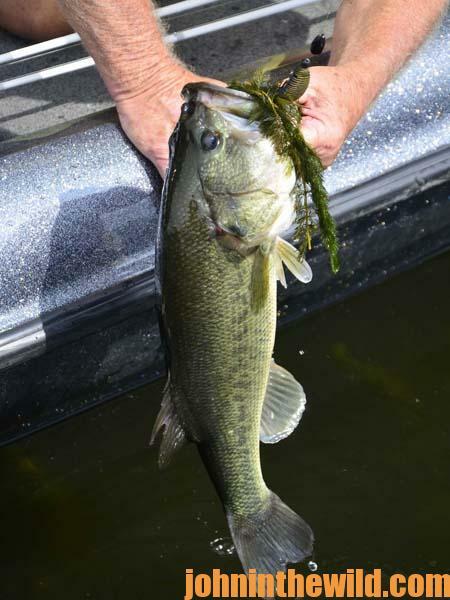 Bait fish that the bass feed on often switch locations every day and every hour where you’ve caught bass in the past. 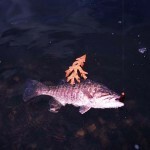 Often, the effectiveness of the lures you’ve caught bass on change every day and/or every hour. So, many times, things are happening in the water that we don’t know about, causing bass not to be where we think they will be. When that happens, often, the best you can do is bet on that database of information that you’ve built up over many days of bass fishing and follow your instincts to find the fish.